Despite weeks of intense protests from civil society, MEPs have voted in favour of upload filters and Article 13. The fundamental rights NGO epicenter.works announces that it will take this law to the highest court and continue to use all means to stop this excessive censorship infrastructure. With just two weeks to go until the final vote on upload filters in the European Parliament, one hundred MEPs have pledged to vote against Article 13 of the proposed Copyright Directive. Many citizens feel like their legitimate fears about the future of the internet are not take seriously as lawmakers insult them as being „bots“ or simply „a mob“. Public protests demanding the removal of Article 13 have been announced in 23 European cities. Since 2016 the principle of net neutrality is protected in the European Union. Half a billion people benefit from the protection against network discrimination by telecom companies. Net neutrality is a founding principle of the internet and one of the most essential digital rights. It ensures the protection of the right to freedom of speech, the right to assembly, the right to conduct business and the freedom to innovate on the internet. These protections came about in no small part due to the work of civil society. Read more about Net Neutrality vs. 5G: What to expect from the upcoming reform in the EU? Read more about Will the evaluation of the net neutrality rules be balanced? In November 2015, the European Union adopted the Net Neutrality Regulation (2015/2120), which contained a number of compromises that needed clarification. The Body of European Regulators for Electronic Communications (BEREC) was given the task of developing implementation guidelines to ensure a consistent application of the Regulation throughout Europe and, in practice, settle the remaining ambiguities of the adopted Regulation. 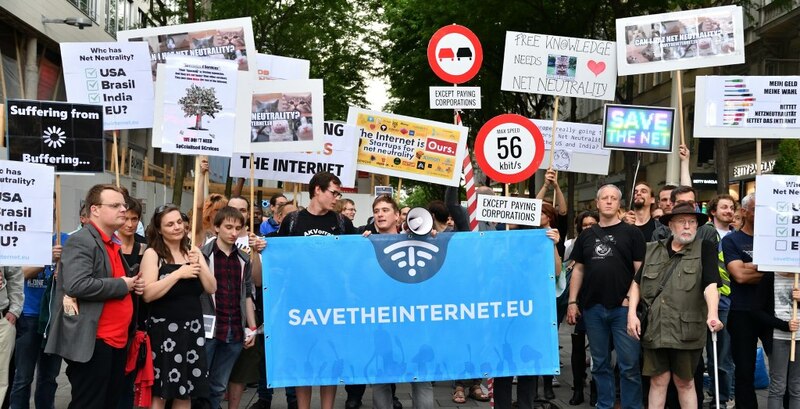 After a public consultation to which almost half a million citizens responded and demanded strong net neutrality, BEREC adopted the guidelines in August 2016.